Engineered and built to safely handle heavy forklifts and loads. 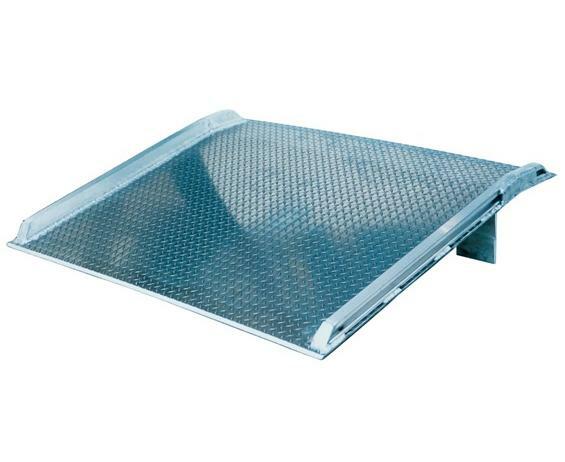 Aluminum checker surface ensures skid-free traction. 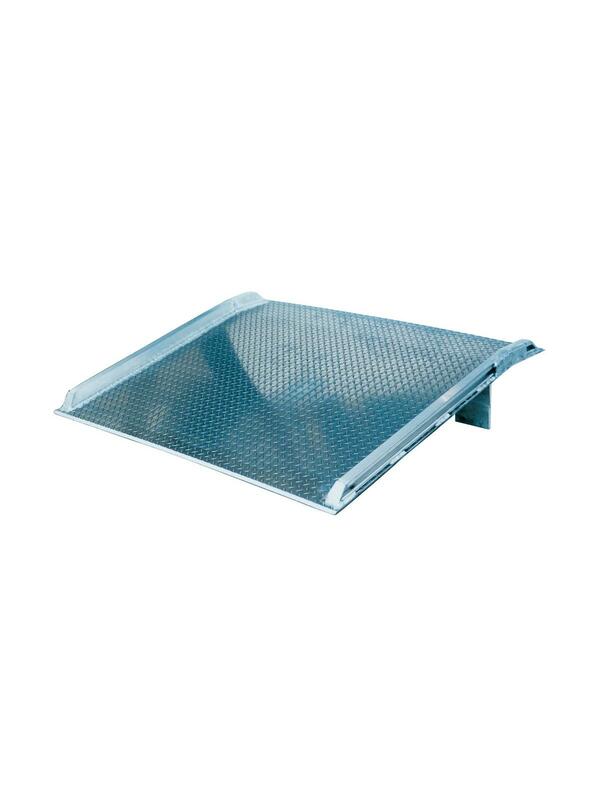 Safety angle under-structure provides reinforcement for heavy loads. Locking legs prevent movement during loading and unloading operations (Meets OSHA 1910.30 (a) (z). Welded safety curbs prevent runoffs. Beveled edges reduce the wear and excessive jarring of equipment. Usable width is approximately 5" less than overall width. Curb channels are designed to accommodate accessories. Lifting chains, or the lever lift are recommended for dock boards weighing over 100 lbs. Call for additional sizes and capacities. Available in 20,00 lb. capacities.